Since its foundation year in 1899 Miele is owned by the Miele and Zinkann families. All of the 70 subsidiaries are direct successors from their founders Carl Miele and Reinhard Zinkann. Since the beginning of the company inception until now both families are represented on the Executive Board. All members on the Executive board are equal. 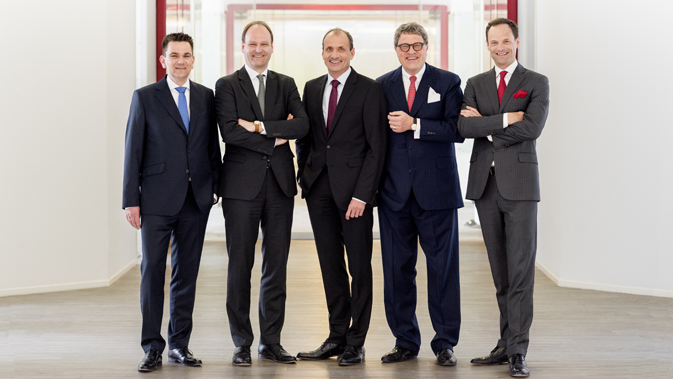 From left: Dr. Stefan Breit (Director of Technical Affairs), Dr. Markus Miele (Executive Director and Co-Proprietor), Olaf Bartsch (Director of Finance and Administration), Dr. Reinhard Zinkann (Executive Director and Co-Proprietor) and Dr. Axel Kniehl (Director for Marketing and Sales).